The 2017 Jeep Grand Cherokee comes with many equipment options including five trim levels and the choice of three different engines. The variety of trim offers versatility in the Grand Cherokee and allows the driver to optimize the strengths of their vehicle. The Summit boasts several new luxuries including updated styling, a self-parking system and lane departure intervention. The Trailhawk model is new to 2017 and offers improved equipment for off-road outings. With the 3.0-liter Eco Diesel V6 engine option the Jeep Grand Cherokee gets an impressive, best-in-class 30 miles per gallon. The five trim levels are Laredo, Limited, Trailhawk, Overland and Summit. The Jeep Grand Cherokee has a number of different engines to choose from, depending on the individual needs of the driver. Starting things off is the Pentastar 3.6-liter V6 engine, which produces 295 horsepower and 260 pound-feet of torque. Vehicles equipped with this engine have a towing capacity of 6,200 pounds. The 3.6-liter V6 engine is the standard offering on all trim levels of the Jeep Grand Cherokee. For more power, several trims offer an optional 5.7-liter V8 engine that can generate 360 horsepower and 390 pound-feet of torque. This engine gives vehicles the best-in-class towing capacity of 7,400 pounds. The third and final engine option is a turbocharged 3.0-liter diesel V6 engine which can produce 240 horsepower and 420 pound-feet of torque. All of these engines are paired with an eight-speed automatic transmission. Rear-wheel drive is standard on all Grand Cherokees except for the Trailhawk which comes standard with the Quadra-Drive II four-wheel drive system. The two other available four-wheel drive options are the Quadra-Trac I and the Quadra-Trac II with low range gearing, which are available on the Laredo and on the Laredo, Limited, Overland and Summit models respectively. While many of the models equipped with four-wheel drive come with Quadra-Lift air suspension, the Trailhawk features its own specific Quadra-Lift air suspension system as well as a rear Electronic Limited-slip Differential. The Trailhawk boasts added off-road capability with the addition of features like front and rear tow hooks and Kevlar reinforced tires. In addition to the Jeep Grand Cherokee’s impressive durability, it also features an upscale interior and a variety of convenient features. For entertaining passengers, the Grand Cherokee has a rear entertainment system available, which is Blu-ray capable and features dual-screen. An 8.4-inch touch screen display, and ventilated seats are also available for added comfort. The touchscreen gives the driver access to a variety of information and controls including a multiview display cluster and climate controls. With the Trailhawk model, that touchscreen also allows the driver to see information about wheel articulation, 4X4 capabilities, and Selec-Terrain modes. 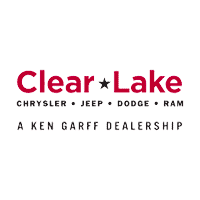 The standard safety features on the Jeep Grand Cherokee include front-side and side curtain airbags, antilock disc brakes, stability and traction control, a rearview camera and rear parking sensors. If safety is a concern, the Grand Cherokee has a number of additional safety options like blind-spot monitoring, lane departure warning and intervention, a forward collision mitigation system with automatic emergency braking, and a front parking sensor. The Jeep Grand Cherokee provides a lot of great options and versatility for those looking for a vehicle that is durable yet luxurious.